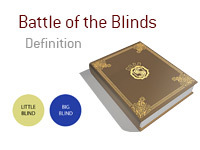 What does the term "battle of the blinds" mean? What is the definition of the term "battle of the blinds"? In poker, "battle of the blinds" refers to when action folds around to the SB (Small Blind) and BB (Big Blind). 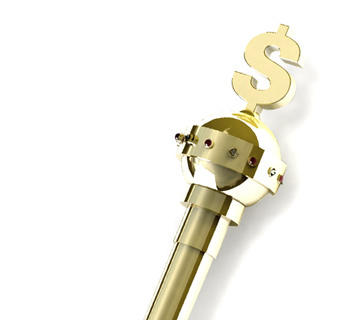 If the SB decides to call, a "battle of the blinds" will ensue, as the SB and BB are alone in the hand together. Action folds around to the Small Blind. The SB looks down at 5d-7d and decides to call. The Big Blind looks down at As-4h and decides to check. A "battle of the blinds" is now taking place, as the SB and BB are alone in the hand together. The flop comes 5h-7h-5s, giving the SB a full house. The SB bets and the BB folds. This was a "battle of the blinds", as the two players who were forced to make bets (SB and BB) ended up battling for the pot.